Just text "ENDofDAYZ" to 18018! But seriously folks, here's a primer, written from an Orthodox perspective, on the concept of the messiah in Judaism. 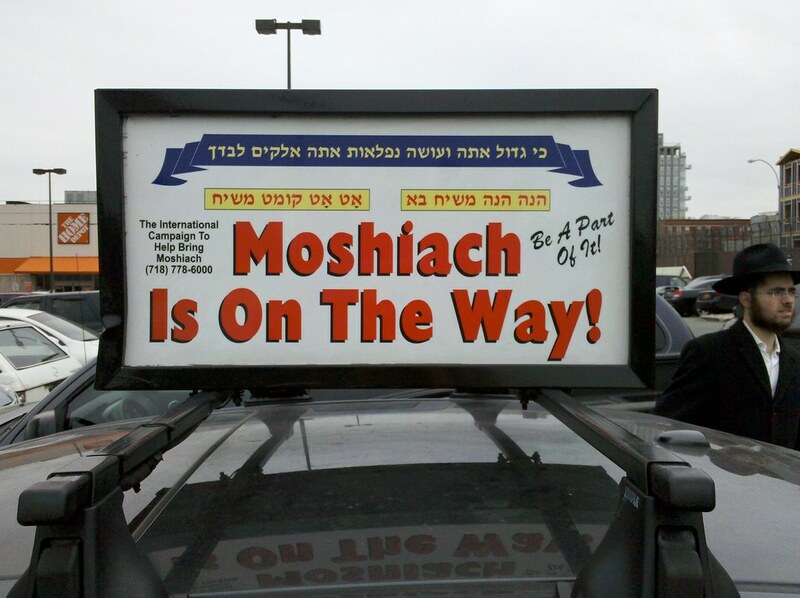 The sign above is part of a campaign within the Chabad-Lubavitch movement.